Another former "Dancing With the Stars" contestant has stepped up to accuse the long-running reality competition of a bit of fakery. Wendy Williams, who competed in season 12 alongside pro Tony Dovolani, addressed her concerns while visiting TODAY Thursday to promote her new romance novel, "Hold Me in Contempt." "When they put you in the room and you have to talk to the camera about your experience — you know, the one-on-one with the camera — I was letting people know that they script what you say," Williams explained to Carson Daly. "You're not the right person to script, that's for sure," Daly replied. In 2012, the show faced accusations of rigging from former contestant Hope Solo. The soccer star claimed in her memoir that after a "secret memo" went around saying she and partner Maksim Chmerkovskiy were going to be eliminated, the pro created drama with the judges so producers would keep the pair in the competition. The issue of fakery came up again after Dovolani's current partner, "Real Housewives of Atlanta" star Nene Leakes, was shown walking out of rehearsal in a huff on Monday's episode, generating some drama. 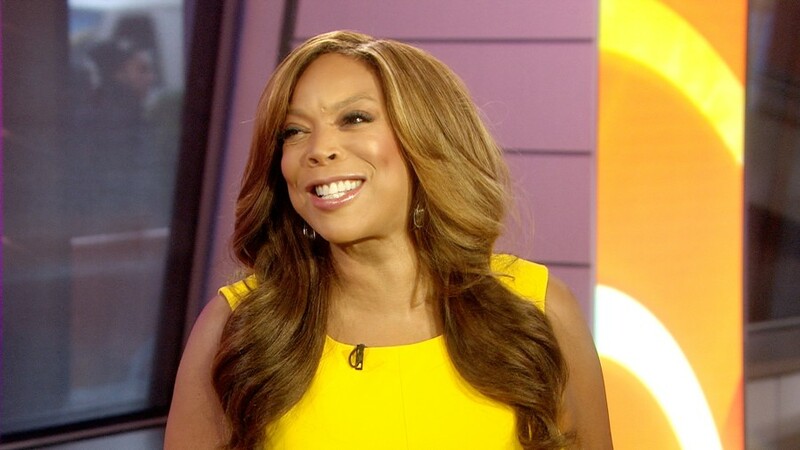 Williams addressed the latest clip on her talk show, "The Wendy Williams Show," the next day. "They also script what they want you to say," she told her viewers. "I know this as a participant, OK. I'm reading, I'm like, 'Wait, this is not how I'm feeling today, and I wouldn't say that. I'm not going to say that,' I would tell the camera." She added that though she was eliminated in the second week, she realized that if she had given "a little bit more sassafras," she would've been in the competition for longer. "Because that's how they were writing my script, to be Angry Black Woman," Williams said. "And all I'm going to say, NeNe, don't let them pull you out of your character. ... Don't let them do that to you," the talk-show host added. ABC has not yet responded to a request for comment. But the alleged scripting isn't all that the talk-show host had issue with. Turns out that for the cast photos this season, "Dancing With the Stars" recycled the dress Williams wore — an animal print frock with an asymmetrical hemline — and had Leakes wear the exact same gown. "Dancing With the Stars" airs Mondays at 8 p.m. on ABC. "Hold Me in Contempt" is in stores now. Follow Anna Chan on Google+ and Twitter.